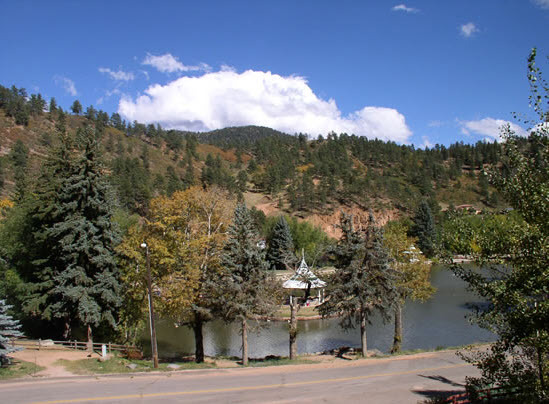 Lakeside Cottages is just a short drive from more than 30 major attractions in the Pikes Peak region, including the excitement of live gaming in the Cripple Creek Mining District (Shuttle services available from nearby Woodland Park or Manitou Springs.) 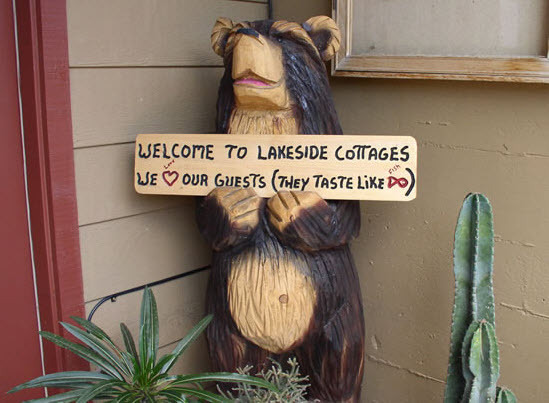 All of our clean, comfortable cottages are completely furnished and include linens, dishes, cooking utensils, coffee makers, toasters, microwaves, cable TV and telephones. The Beaver Cottage is a cozy cottage for just two. It is a single room detached cottage with queen bed, full (newly remodeled) bath, and spacious kitchenette. Decorated with knotty pine, new carpet and ceramic tile and a wonderful coffee deck out front overlooking the lake. The Bear Cottage is a two bedroom, two bath cottage that sleeps up to six people. One queen bed and a full bed in a separate bedroom, then a full sized sofa sleeper in the living room, a fireplace and a full kitchen, make the Bear Cottage very popular. Private deck with BBQ and a hot tub. The Buffalo Lodge is a two bedroom, two bath cottage. It will accommodate up to ten. Large floor to ceiling windows offer a great view of the lake and Gazebo. Very popular and always in demand with a cozy living room and fireplace, kitchen, one bedroom and bathroom upstairs, and bedroom, bathroom and sitting room on lower level, two full sized sofa sleepers, one up and one downstairs. Private deck with BBQ & hot tub. make your Colorado visit one to remember. your heels to live entertainment - mountain style! Photo Services and Supplies: 15 minutes drive. Internet Cafe: 15 minutes drive. Micro Brewery: 20 minutes drive.